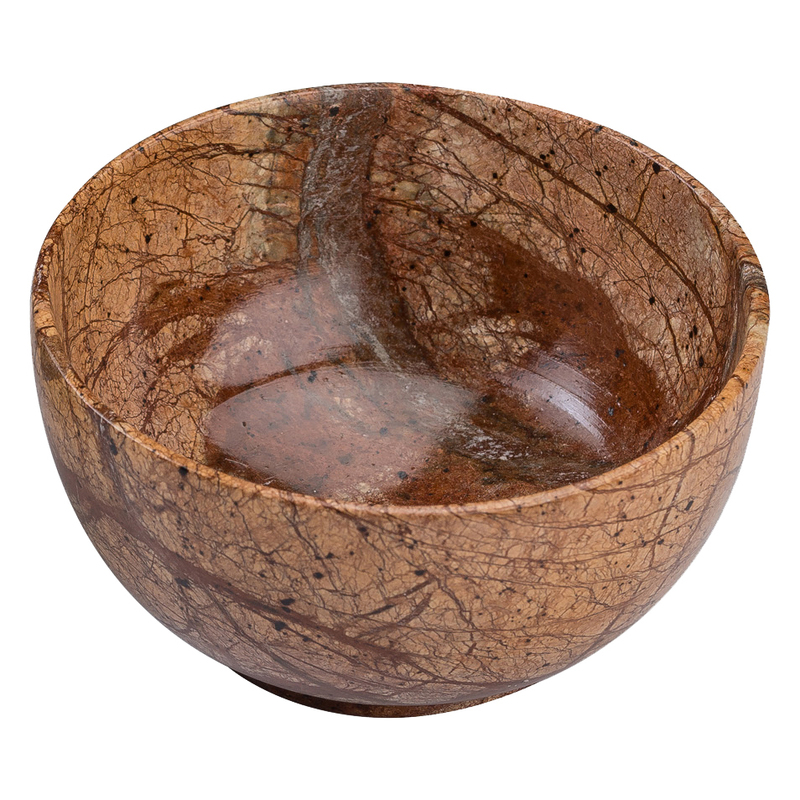 Unique Handcarved made of unadulterated marble, the bowl has a smooth finish making it soft on the skin, and easy to handle; further, marble is known to not heat easily, and would remain cool under most conditions. The natural texture and colour of the marble accentuate its already heightened aesthetic quality. 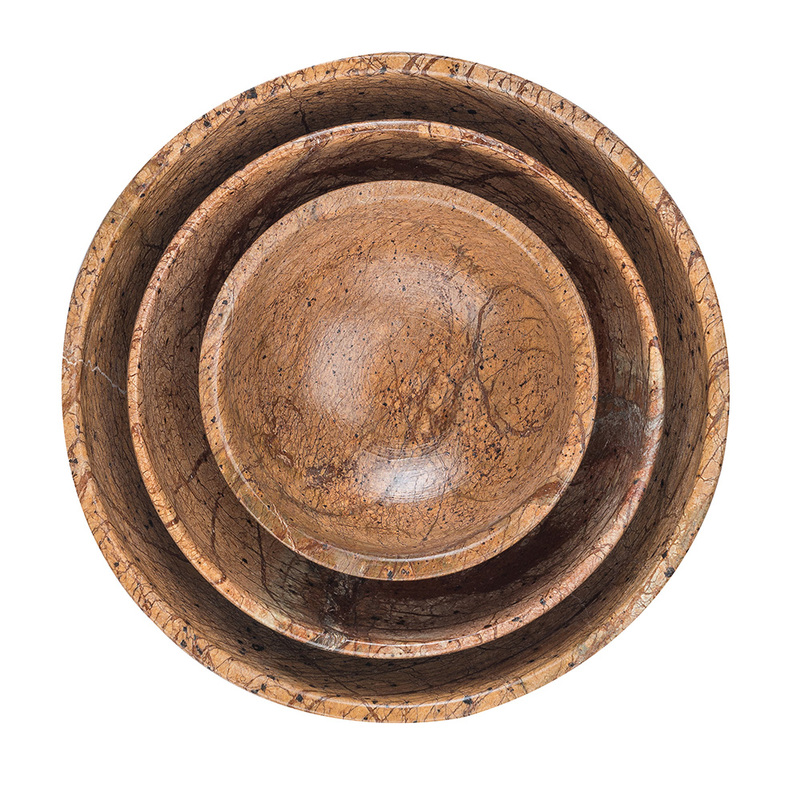 Further, the smooth contouring and finish of the bowl are appeasing to see and touch, and would fit well in most decorative design and setting. 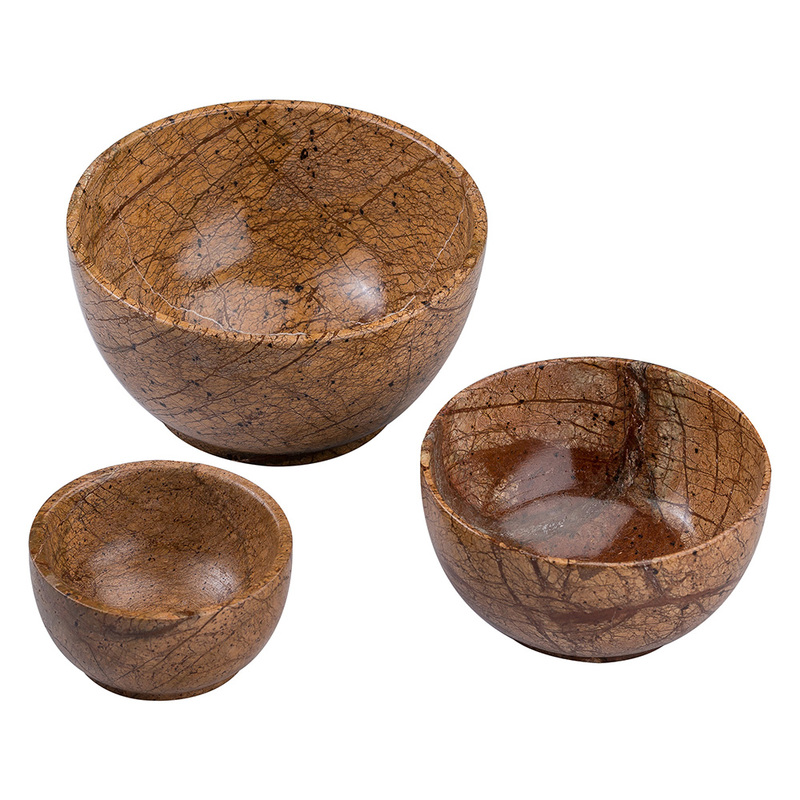 Package Contains( 3 nos Marble Bowl ) Di mention: 1 Large Marble Bowl Size: 13 cm width 7 cm height. 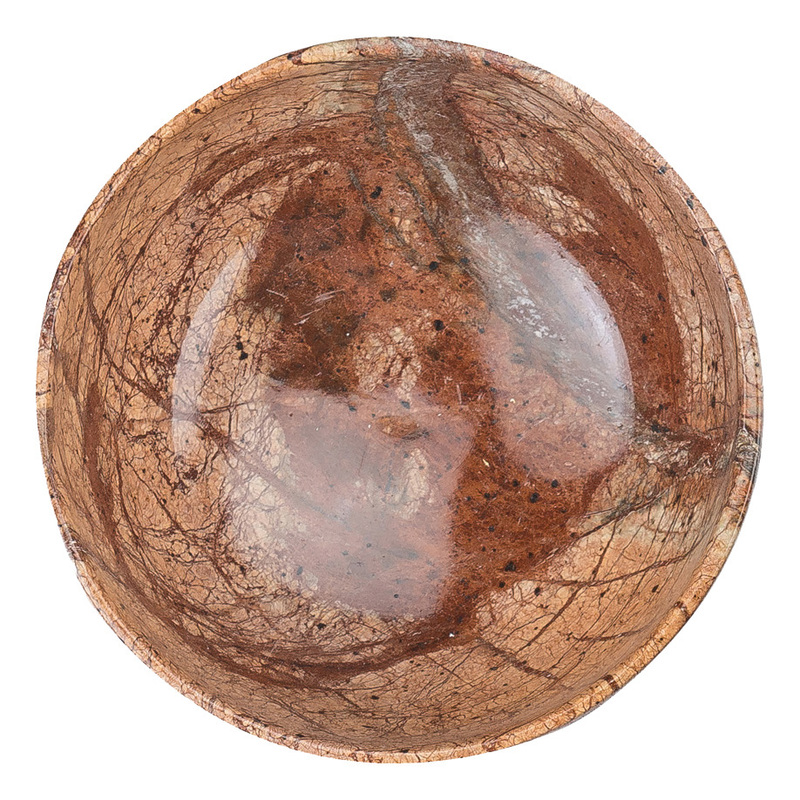 2 Medium Marble Bowl Size: 10 cm width 6 cm height. 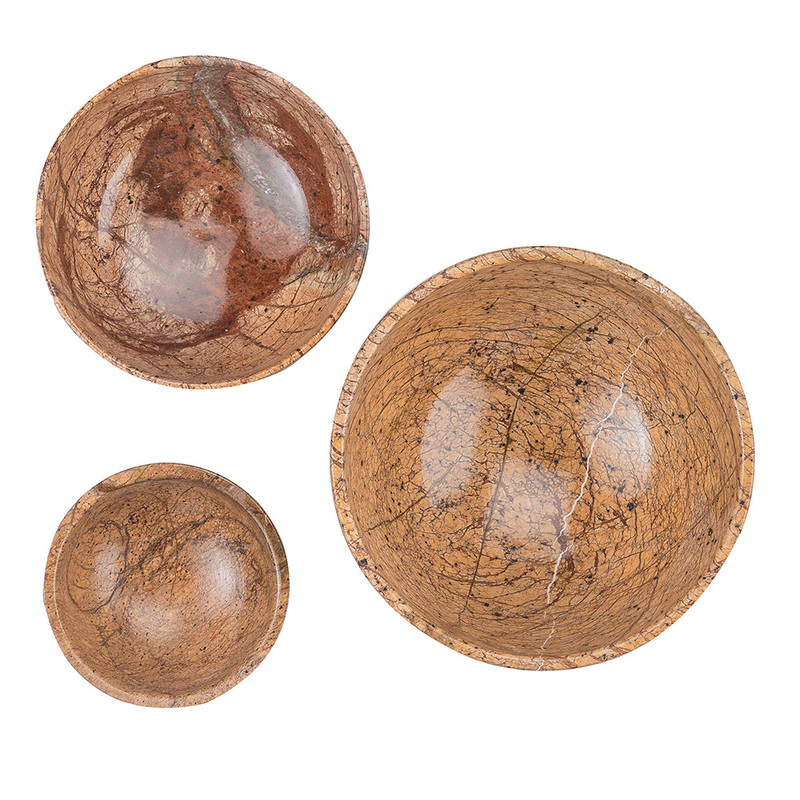 3 Small Marble Bowl Size: 8 cm width 4 cm height. Colors Available: Forest Brown Buyer can text me which color they would like to purchase.  Material: Bidasar Marble Bidasar Marble: Bidasar is a natural stone marble found in Rajasthan, India. Also called rainforest green/brown marble. Bidasar marble is highly valued for its beauty, strength and resistance to fire and erosion. A very appealing Eye catching, ethnic, Antique traditional style master piece . Marble is beautiful and strong but also fragile. Treat it with love because it's breakable. Embrace it. Just like wine it develops a wonderful character with age.